May was another eight book month for me, propped up by a quick run through of the rest of the good Star Wars books. 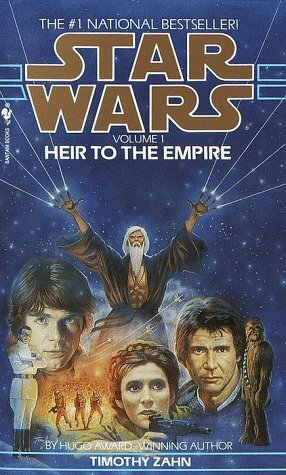 I might read some more next month, I have never read Zahn’s later Star Wars books, but I think I am about done with those for now. I really don’t have a lot to say about them, they are largely simple books. I also finished with Gail Carriger’s Parasol Protectorate series and with Edding’s Mallorean, which frees me up next month to move on to some different authors. This is the last of the Parasol Protectorate series, and it does a great job of trying everything up. It doesn’t do anything to move beyond the designation of “bon bon book”, but that doesn’t make it any less entertaining. 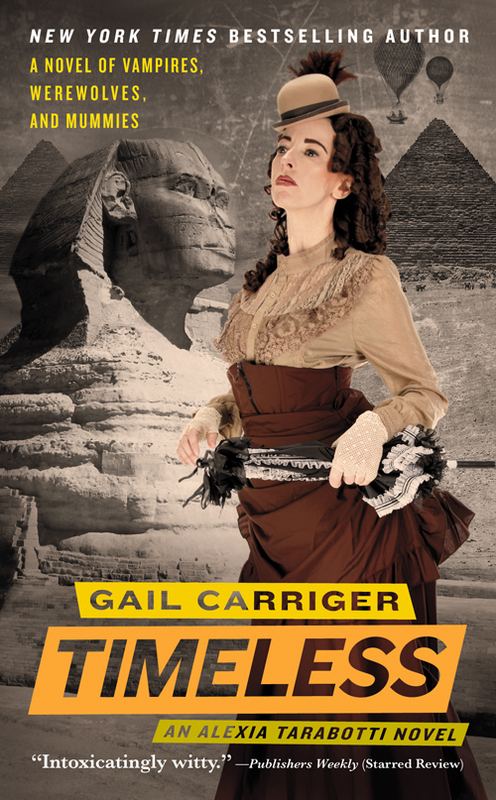 This time Alexia and her compatriots make a trip to Egypt to meet an ancient vampire that lives there, as well as to get to the bottom of the so-called God Breaker Plague. It doesn’t quite add mummies to the combination of vampires and werewolves, but it does enough with that third of the monster triumvirate. Without spoiling the twist, there are varying motives for the call to have Lady Maccon and her unique family visit this vampire hive. And for once, things don’t appear certain to work out perfectly happily. I greatly enjoyed this series. They aren’t the deepest books, but they are charmingly written and plotted. They are just pure fun. I look forward to picking up the books in the sequel series, as well as the forthcoming conclusion to her Finishing School books. 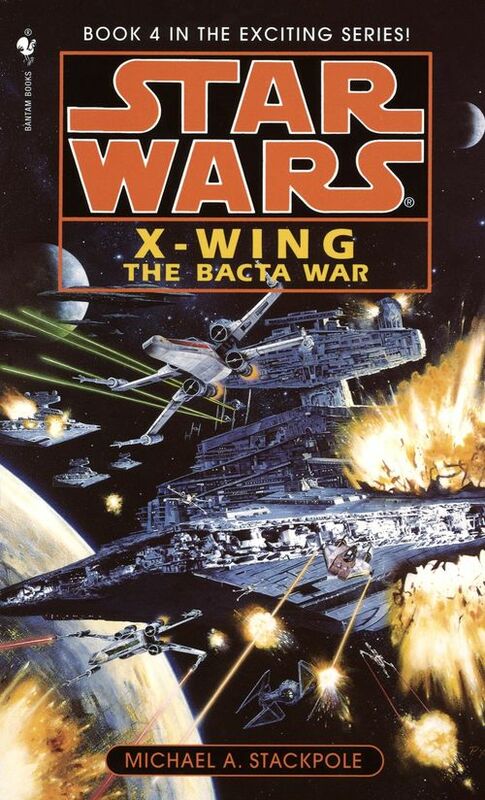 The third X-Wing book is my least favorite of the series. This one gets even further away from pilots flying X-Wings than Wedge’s Gamble did. Protagonist Corran Horn is captured by Isard and held in her inescapable prison, while his completely innocent wingman Tycho is on trial for his apparent murder. Meanwhile, Isard has released a plague on the newly freed Coruscant that is bankrupting the alliance in their attempts to cure it. 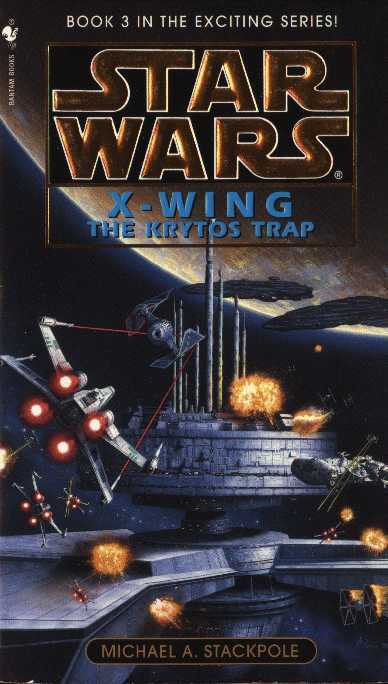 The Krytos Trap is still an enjoyable book, but it gets kind of ridiculous as it goes on, with copious deceptions and bluffs and double bluffs and misdirections all over the place. It isn’t truly hard to follow, everything is laid out rather clearly, but many of the plans are needlessly complex. Corran, stuck in prison, isn’t able to do anything and what the rest of the team spends most of their time doing, defending Tycho, turns out to be useless as well. 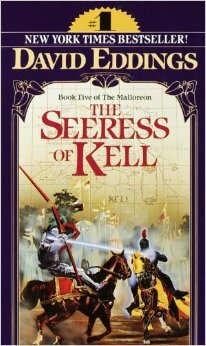 Still, it does set the stage for Stackpole’s excellent final book, at least for a while. This one gets back to the good stuff. 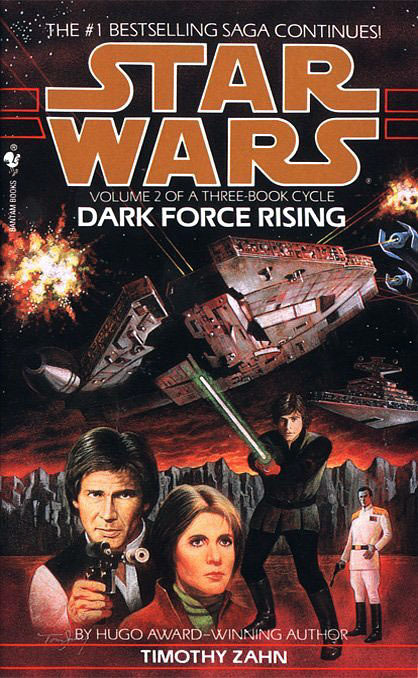 Rogue Squadron goes rogue, leaving the Alliance to chase down Isard to where she fled to at the end of the last book. Of course, one squadron of X-Wings is no match for a Super Star Destroyer, so they must find help. This book closes up most of the plot threads that Stackpole has been working with since the first book and it provides some of the best action in the series so far. The team wages a guerrilla war on Isard, systematically dismantling her small fleet that holds her monopoly on bacta, the Star Wars miracle dug. The only real problem I have with this book is that by this point Stackpole has established most of the squadron with fully realized characters and does little to make them seem in danger. And that is held true with how few casualties they have. I really do like the conclusion of Corran and Mirax’s romance, which is one of the most fun parts of this series. Zahn’s Star Wars books, though they are contradicted in many ways by the wholly inferior prequel movies, are the best that the Star Wars EU has to offer. With this first book, he does a great job of nailing the voices of the main trio, Luke, Leia and Han, and adds in a handful of compelling new characters. The most compelling of those is the new villain, Grand Admiral Thrawn. He has a great visual, with the blue skin and glowing red eyes, as well a more considered approach than Vader’s murderous one, though he is no less dangerous. Like any great start to any multi part saga, Heir to the Empire tells a great small story while also setting up the conflicts that will come up in the later books. 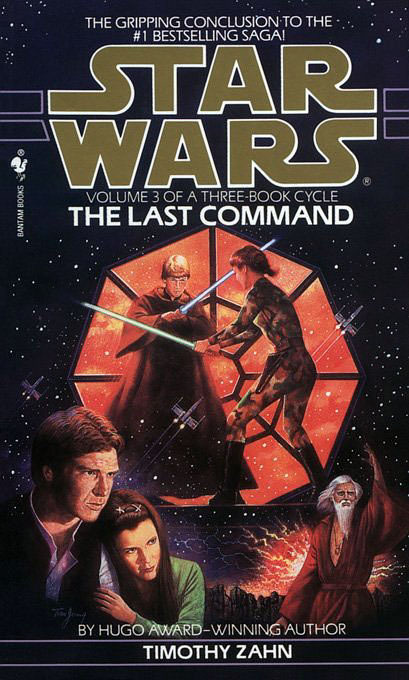 This book has the remnant of the Empire, now under the control of Thrawn, starting some kind of big new plan. The heroes are beset by alien assassins trying to kill the pregnant Leia while they turn to Lando and new character Talon Karrde to help them with secure some former smugglers to help with shipping. Things continue here, with Luke meeting with supposed Jedi Master Joruus C’Baoth while Lando and Han look for the lost Katana fleet and Leia goes to the home of the Noghri to learn how Vader supposedly helped them. Meanwhile, there are power plays going on in the new Alliance Capitol that could disrupt the war effort. Aside from Thrawn, Zahn also introduced a few other highly memorable characters to Star Wars. Talon Karrde is the secretive leader of a smuggling ring. He is not Han Solo, the rogue with a heart of gold, he is a more pragmatic opportunist. Unfortunately, his attempts to stay neutral in the galactic Civil War and his access to some choice knowledge eventually force him onto the side of the angels. While he isn’t one to do the right thing because it is right, he does have a certain sense of honor, including repaying his debts. The other is the first in the fairly long line of women introduced to be Luke’s love interest. Luke’s love life is fertile ground that was largely left untouched in the movies, and Mara Jade is easily the best character introduced as a potential love interest. She is a sort of apprentice of the Emperor, trained with some rudimentary force knowledge to be his assassin. She doesn’t have any conscious use of the force, but enough of certain skills to be useful to the Emperor. Her connection to him allowed him to give her one last order before he died, to kill Luke. Her gradual shift from hating Luke to realizing his innate goodness is some great character development over the course of this series. Again, this book does a great job of maintaining the feel of Star Wars, giving all of the main characters plenty to do but never running short of new ideas and situations. The conclusion has everyone meeting up at a backwater planet that houses some preserved cloning facilities. This plot thread about the Clone Wars is where this book is completely different from what the prequels established, but I have to say that this series version of the Clone Wars far excels that of the movies. Thrawn made a deal with the devil to recruit the services of the mad Jedi clone Joruus C’Baoth and now the clone tries to take over. He used the clones Force powers to help control his troops, especially the mentally weak ones he is churning out of the cloning facilities. And while Thrawn has measures in place to deal with him, it is a distraction. Luke also battles C’Baoth, as well as a clone made from the hand he lost on Bespin. His only ally is Mara Jade, who is just as likely to want to kill him. Han and Lando are there, but they are distracted by trying to take out the cloning facility and Leia has to deal with problems on the effectively blockaded Capitol. This book is just as good as the previous two, though I don’t know how well the final showdown between Luke Luuke and C’Baoth works. It is also disappointing that Thrawn gets dispatched. His end is fitting and deserved, but it would have been nice to keep such an effective threat around for later books. I never really warmed to this series. It ends just as strangely as it started. It is anticlimactic and sees the main character sidelined for a big part of its climax. The ever growing gang finally reaches their destination and they actually use their powers, some. I don’t really want to tear this series down, I didn’t like it but I don’t feel the need to hate it. It wasn’t awful or offensive, I just didn’t like it. I will not seek out other books by Eddings. I’m done. 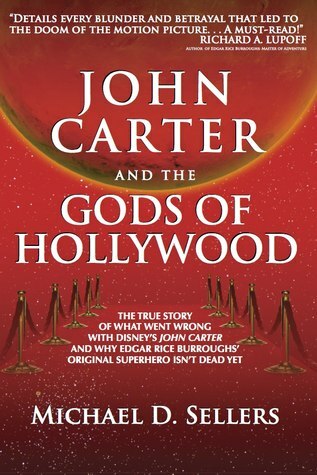 This is an interesting look at just what went wrong with Disney’s John Carter movie. While I would argue that the film itself is excellent, there is no denying that it was a significant flop for the company. It is written by a fan of Burroughs’ Sword and Planet series who not only watched as the film was left to die as it was released, but who actually cut some fan trailers and contacted Disney about helping with marketing. So he definitely has an agenda. This book is far from perfect, a lot of page space is spent expounding on numbers of social media posts instead of drawing conclusions about why the numbers were what they were and what those numbers meant. It does set a pretty clear series of events that led to Disney’s disinterested marketing of their very expensive movie. It is really a stunning tale of incompetent and lack of interest. It was the last movie greenlit by a leaving studio head, working from a mandate that was no longer necessary, with marketing lead without any strategy by another employee that was leaving the company. When work on John Carter was starting, Disney was desperate to get into the teenage boy market, but the time it was to be released they had bought Marvel Comics (and were working on buying Star Wars), which pretty well secured that market, making John Carter redundant. Without anyone passionate for the project left at the Disney office, they simply left it to die, seemingly hoping that the name of the Pixar veteran director to sell the movie. Then they threw it under the buss as a massive flop just as it was released. It is a sad tale, since John Carter is a damn good movie based on some very entertaining books.